Why LLLT (Cold Laser Therapy to treat Lyme Disease. Low Level Laser Therapy, is used to reduce pain and inflammation and support healing. Lyme Disease patients suffer a milieu of symptoms, from Neuromuscular inflammation and pain, to Sinusitis. 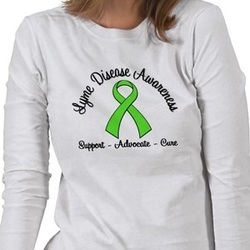 Fast Facts Lyme disease is the most commonly reported vectorborne illness in the U.S. In 2009, it was the 5th most common Nationally Notifiable disease. Cold Laser Therapy is one of the most effective healing therapies in the medical community today. Cold Laser Therapy treatment may be completed in three to five,sessions in most cases compare to other modalities. Cold Laser Therapy is not only significant in reducing treatment times, it is cost effective as well for the patient, especially for the Lyme Disease patient whom has so many symptoms and requires so many costly modalities to regain a level of comfort and health back, that it makes economic sense that one modality can address most helath concerns that the Lyme Patent suffers from. The HY30D Low Level Laser known as Cold Llaser may also be focussed on acupuncture points in place of the Traditional Needle, with excellent therapeutic results.The Hy30 D comes with two probes, one, is an Acupuncture Laser. prob.